This badge was issued to ETIENNE LAMOUREUX on 24 Jan 2019. The badge earner is able to: describe the 12-factor app principles, list the benefits of cloud native apps and the microservices architecture, describe how microservices are managed with IBM Cloud Container Service and Istio, show how to design microservices and how they communicate, show how a service mesh helps with microservice implementations, describe how Istio can be used to connect, manage, and secure microservices, and describe the logical components of Istio's data and control plane. 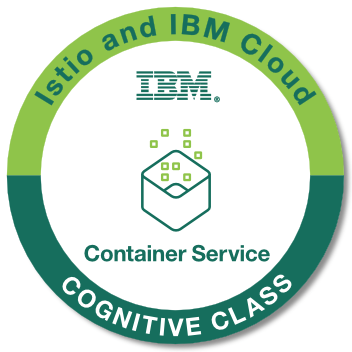 Completion of the Cognitive Class course "Getting started with Microservices with Istio and IBM Cloud Kubernetes Service".